Lehigh Valley Zoo Education Department – Lounging at the Lehigh Valley Zoo in Schnecksville, PA is a very popular ambassador animal, Bean, our Linneaus Two-toed sloth. Bean has called our zoo home for about 6 years now and lives the kind of life that many people would envy. While he does participate in programming, such as going to schools, libraries, nursing homes, and more, he spends most of his three “work” hours a week doing interactive, Animal Encounters. Bean is an incredible Ambassador Animal with a lot of personality. He generally is not very temperamental in nature but, his sharpened molars and subtle body language places him higher up on our handling levels. He has four regular handlers who work with him on programs and he lives behind the scenes in a hot, humid room. 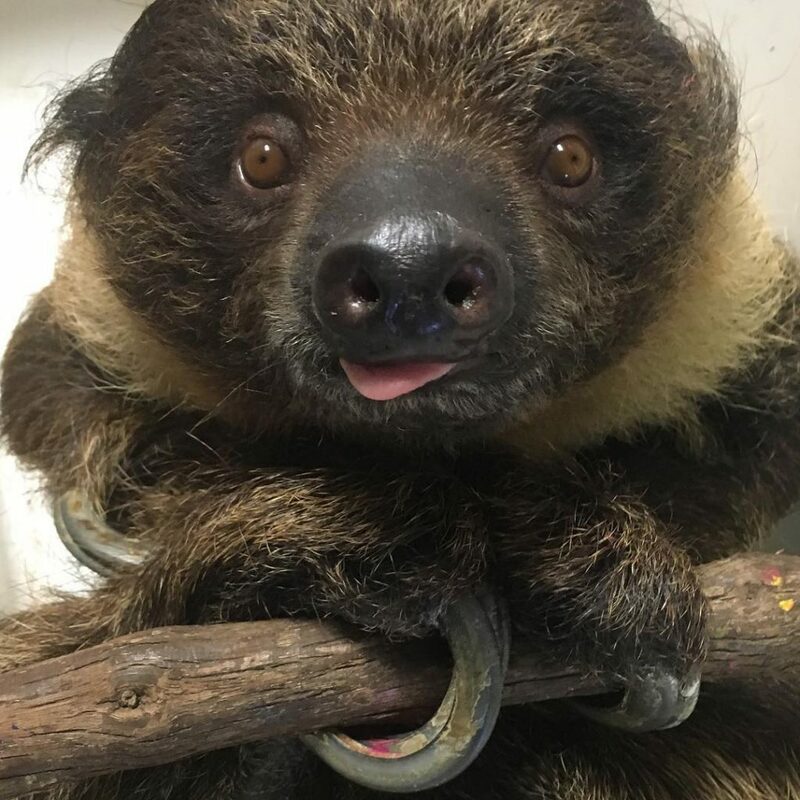 The education department at the Lehigh Valley Zoo offers six different “Close Encounters of the Wild Kind” with animals such as our African Penguins, Birds of Prey, Exotic Birds, Three-banded Armadillos, and Linneaus Two-toed sloth. Animal encounters are private, interactive programs where small groups of people can connect with the animal and their conservation messaging. Our sloth encounter has become our most successful and unique option. Bean has become so popular that we are typically booked 4 months out for these programs! The programs run for approximately 40 minutes and include up to 8 participants. We start with Bean wrapped around a keeper, like he would hug a tree, and give a short presentation. We allow guests to touch him down the back and then move him to a perch where the guests are able to observe him climb. While on the perch, guests also get the opportunity to interact with Bean by offering him some of his favorite food items! On special occasions, like the couple proposals we have had, Bean will paint for his guests! He holds a stick that has a paintbrush drilled into one end and explores the scents or treats we leave for him on the opposite end. This process encourages him to move the paint brush, while the guests hold the canvas, allowing for a collaborative work of art the guests take home. Bean’s name is often a topic of conversation during programs, which was our intention when we choose the name. His name is directly related to his conservation message about saving the species of the rainforest. 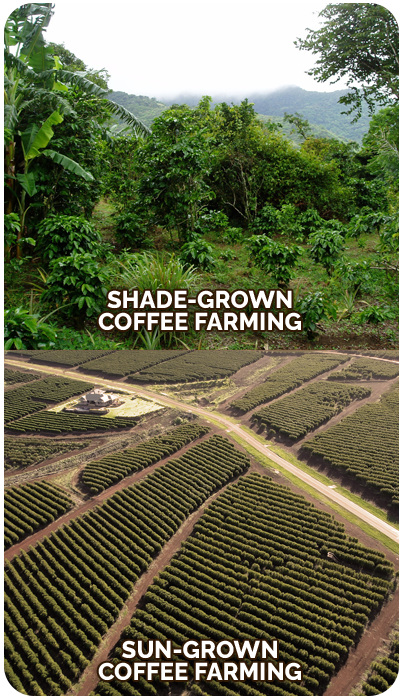 As many of us are already aware, the rainforest is being deforested for many of reasons, a main reason being for coffee and chocolate bean crops. We inform our guests about the alternative of Shade-grown Coffee and Chocolate products. We encourage them to think of Bean when making important consumer choices and to look for specific seals to help preserve what is left. We really feel like these programs help connect guests not only to our sloth but also to all the other important inhabitants of the rainforest. At the conclusion of the program, we send them home with some shade-grown coffee from Café Christina and encourage them to continue the connection by following Bean on his Instagram page @Beanthesloth. Through the popularity of Bean and this program, we hope to continue making those connections with our guests and to inspire them to make a difference.